The burgers at Brozers' better bloody well be worth waiting for out here in the frigid cold of Sunday afternoon, mid-January. Well, they are. Just about. 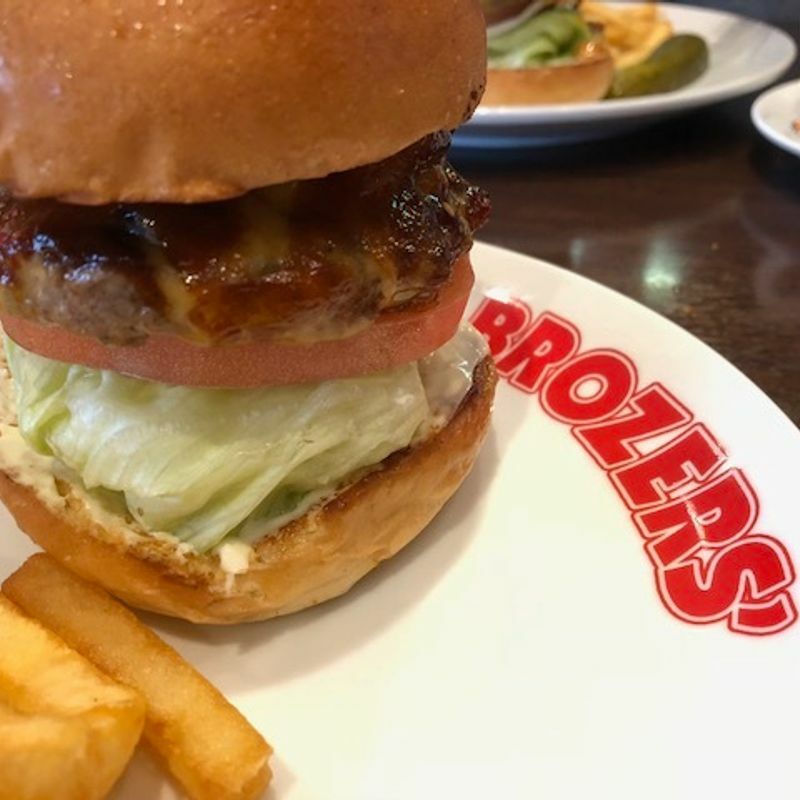 What quality there in the hamburgers at Brozers' (a play on "brothers") was born out of the suburbs of Sydney where the founder of this burger joint learned his trade. And yep, these are some nice burgers. I went with the pineapple cheese burger (1,400 yen). 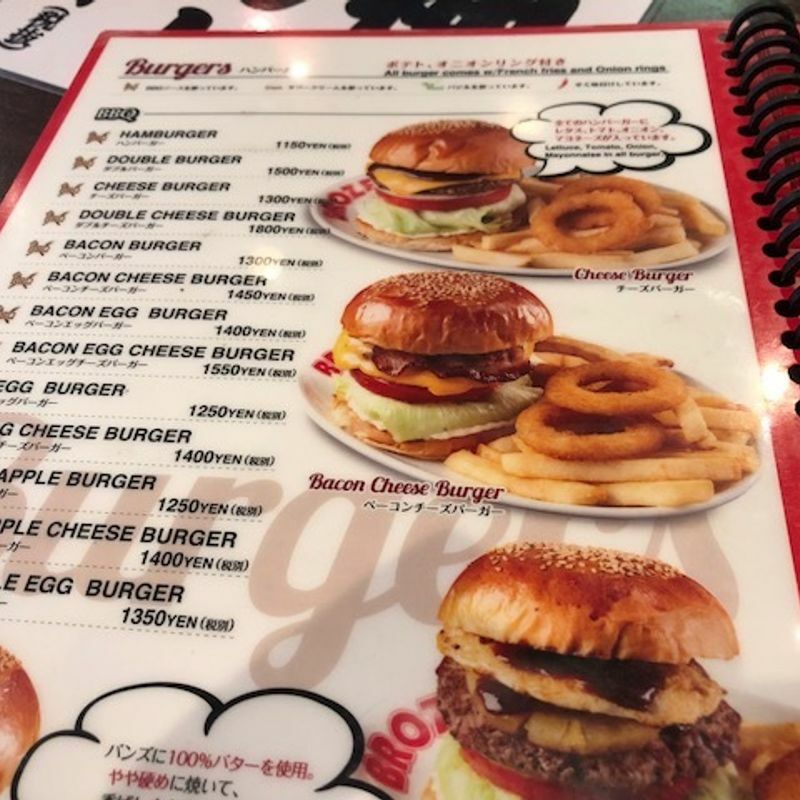 The partner chose the chilibeans cheese burger (1,450 yen). All the burgers on the menu at Brozers' come with a small serving of fries and onion rings. 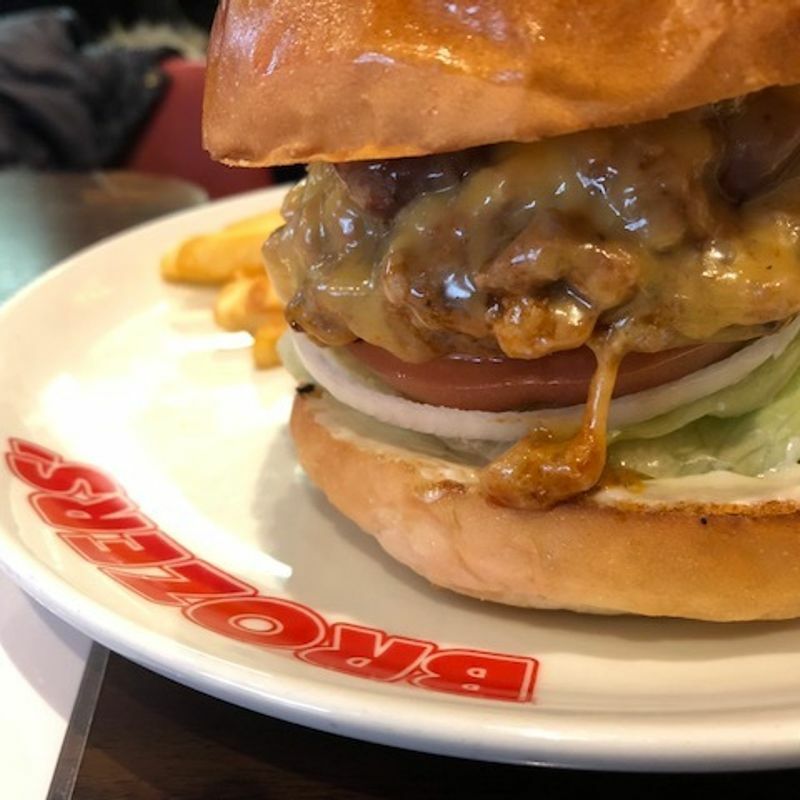 With prices for the extensive list of burgers ranging from around 1,100 yen to 1,500 yen, this is in no way cheap, fast food (although the service is pretty prompt). And to be honest, the kind of American diner interior at the restaurant in Ningyocho is a little scrappy. I mean, it's fine and all, but isn't a reflection of the prices you pay the burgers. Still, the hamburgers are nice. A good size, nice buns (toasted), and they hold together well without descending into so much slop as can often be the case. 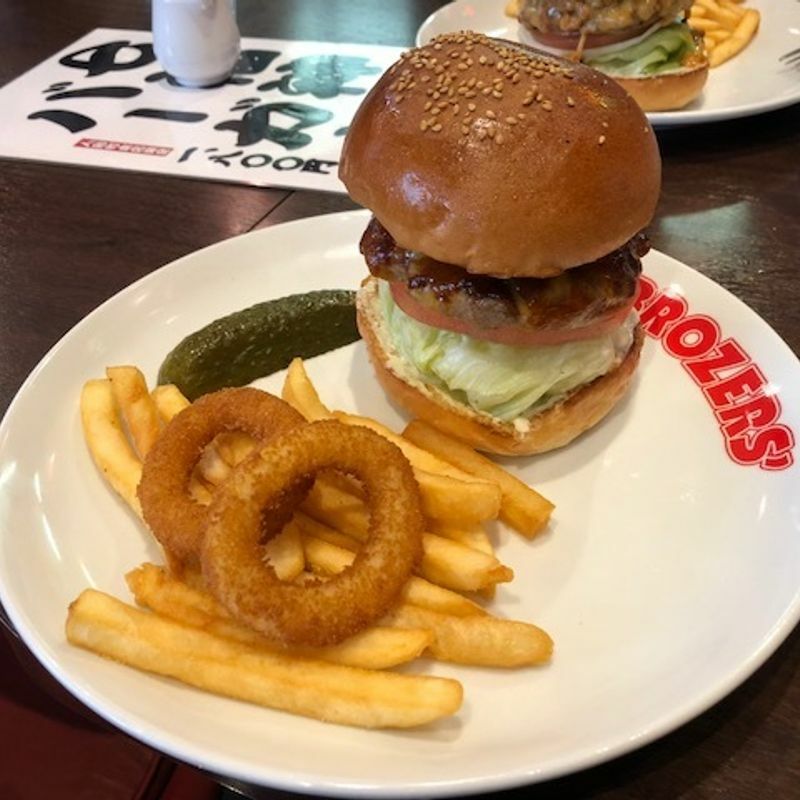 In fact, for me, the burger-fries-onion rings combo (and a hot coffee - 380 yen) was a perfect volume. Larger stomachs may be left wanting more. Brozers' does hotdogs, sandwiches, salads and desserts most of which are in the 700 - 1,000-yen range. There are beers, wines, whiskeys and cocktails on the menu, too. 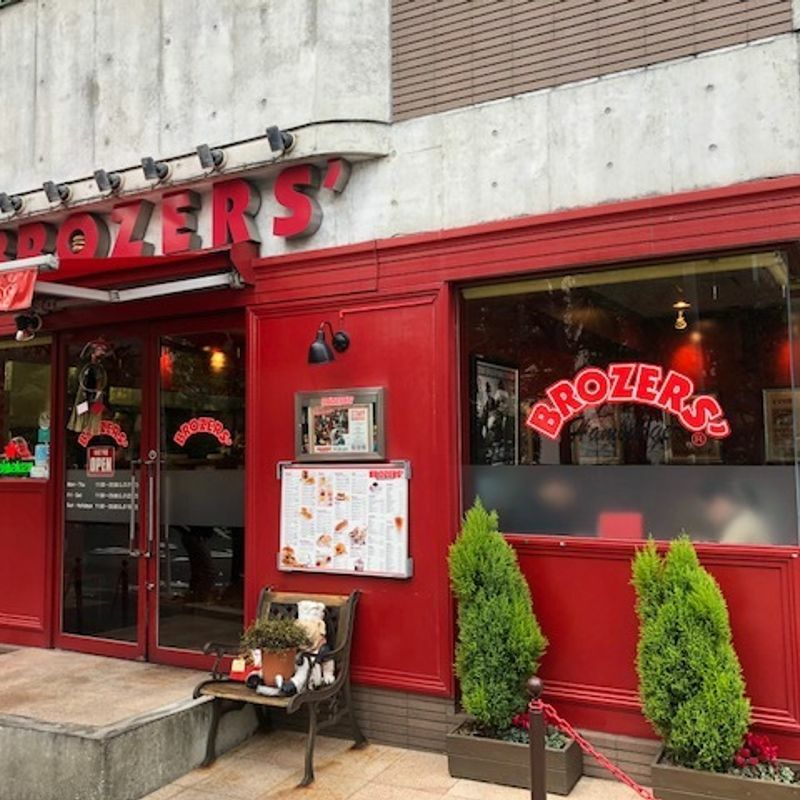 This branch of Brozers' is about 200 m northeast of Ningyocho Station on a quiet park-lined street. There's not much else in the immediate vicinity. There's a take-out-only Brozers' just down the road. Other branches can be found in Tokyo -- near Shintomicho Station and in Nihombashi Takashimaya. Nice burgers, a bit pricey, interior doesn't really make you want to hang around (and get the full money's worth from your order).